Styled with aenor pant . Picked the berries this morning. 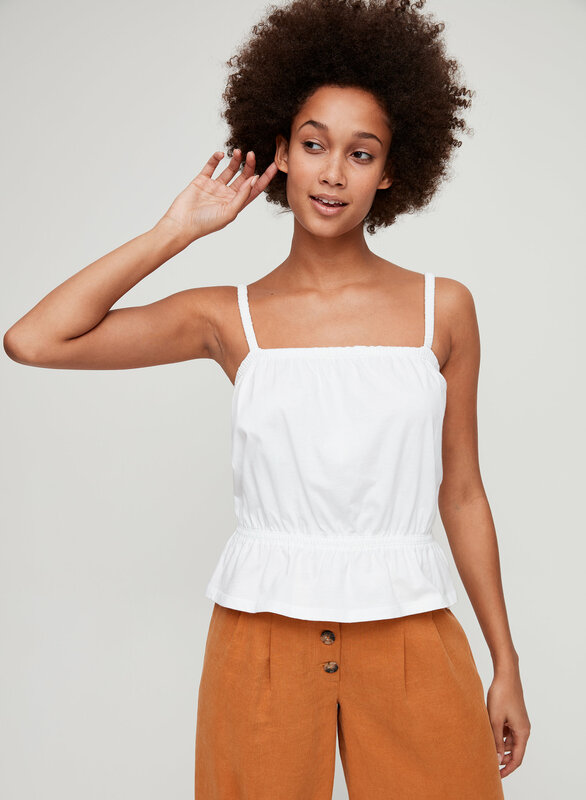 This is a sleeveless peasant top with a smocked waist and peplum hem. 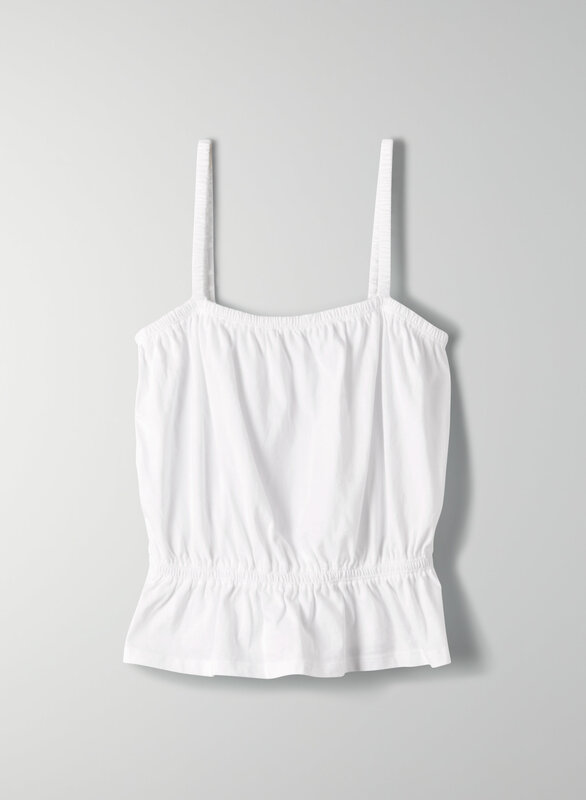 It's made from a soft, structured 100% cotton fabric.